There’s no denying it, Pokemon Go has really taken the world by storm! Its been just over a month now since the game’s release and it has already generated over $200 million in revenue and gained over 100 million users! And that number is steadily growing. To date, Pokemon Go is the number one mobile app in the world and it is used regularly by the people who’ve downloaded the game. Now, whether this is a fad or not, it does have marketing potential, and local businesses should always be looking to take advantage of these capabilities when they can. It may sound very capitalistic but, but there are many advantages of using popular trends such as Pokemon Go as a way to market your business. After all, it’s all about growing your business and reaching new audiences on the platforms they spend most of their time on. Ok, so for those of you still wondering what Pokemon Go is, it’s a new game that’s free to play that’s exploded globally, almost overnight. The app uses augmented reality and your phone’s GPS location and transports you into a world where you can train and battle with monsters around you. Trust me, its not just for kids I have seen grown adults playing this at the local train station! The most exciting thing about this game is that it uses your actual surroundings in the game. So, it’s a form of augmented reality and you get to participate in this virtual world through your mobile device, which can also lead you to find new things outwith the game itself, such as local shops, bars, restaurants etc, these are just a few examples. So, why should your business get involved in a game just because its popular?, why would it interest you? After all, shouldn’t your main focus be on your own business? Well, due to the app using real life locations within their maps, those hunting for Pikachu and friends may bring in additional foot traffic without you having to spend lots of money on marketing and promotional activities. We’ve already seen many local businesses across the world tap into this phenomenon and using it to their advantage. Including local bars, restaurants and cafe’s. One business, an ice cream shop from Washington has even said its saved their struggling store from closure due to the number of players visiting their shop due to their location being close to a several Poke Stops on the games map. So, how can you take advantage of Pokemon Go for your business I hear you say? Well first things first, you need to download the game and become familiar with the basics. One of the first things you’ll have to do once you get through the initial learning curve is to find out if you’re business is a Poke Stop or a Poke Gym. If you’re not any of these, there’s good news because Niantic is going to roll out an update that allows local businesses to apply to become either a Poke Gym or Poke Stop. Moving on, let’s just work with what we have now and not rely too much on future updates that may or may not come. If your business is located in an area that doesn’t receive a lot of foot traffic, the best thing you can do is to buy Poke Lures. These are basically virtual beacons that you can use to attract any nearby players to your area. Now, these Lures don’t last that long and they do have a limited range. If you’re in a totally out of the way area, you may want to work together with some other businesses that have better traffic and are relatively in close proximity with yours. So basically, if they send out a lure to attract customers, you can then send one out after a couple of minutes or so to get them running to where you are after they’re done at the other place. It’s basically a game of relay that you can use to your advantage with other businesses in the area. If your business receives a moderate amount of foot traffic, then you can spend a little less money on in-app purchases. What you can focus on is establishing your reputation as a reliable source of free stuff on a regular basis. So, sending out lures can be timed with your business hours to attract more customers when you have some down time. Let’s say your business slows down a bit every 10am to 11am, or on certain days of the week, you can boost the number of people visiting the area by sending out a lures. Once you have lured them to your location you may also want to give them an incentive by offering discounts, 2 for 1’s or even some freebies …. That should give you some foot traffic that you could potentially turn into profit. If your business is in a foot traffic heavy area or if your business is already quite popular and you’re also either a Poke Gym or a Poke Stop, then you’re basically all set to make a killing. Again offer some discounts to get them through the door! This can work especially well bars and restaurants! This is actually the best scenario since you can use Pokemon Go as a way to generate additional income without having to rely on lures. What you can do instead is to make it a very accessible place for these Pokemon Go players to converge in. 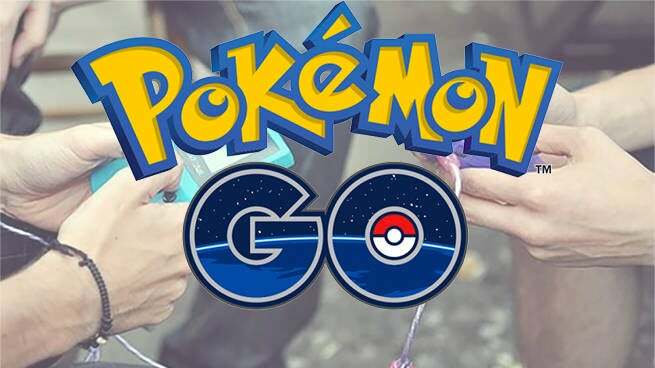 For example you could offer mobile phone charging to players for free, discounts and additionally, you could have Pokemon Go merchandise on sale. Now, just remember, Pokemon Go as a way to drive traffic to your place of business should be treated as just that: a promotional vehicle for your business. Also, it may not be around forever so take advantage while its hot! The most important thing is having something to offer beyond the game itself. The game will provide the massive amount of foot traffic but you have to be business savvy enough to turn these people into buying customers. You can offer discounts, promos and other forms of rewards for their custom. Just make sure that after their initial interest you actually have something relevant to offer to them and keep them coming back. Otherwise, they just might go elsewhere. In the end, if you’re creative and think outside the box then you’ll be able to reap the benefits of this very new technology and come out on top over the local competition! Have you seen any local businesses using Pokemon Go? Let me know in the comments below! Previous story Social Media Management Tools – Which One Is Best?